1) Combine chili sauce, soy sauce, ginger, salt, pepper, and sugar. Whisk together. 2) Score squid with knife. 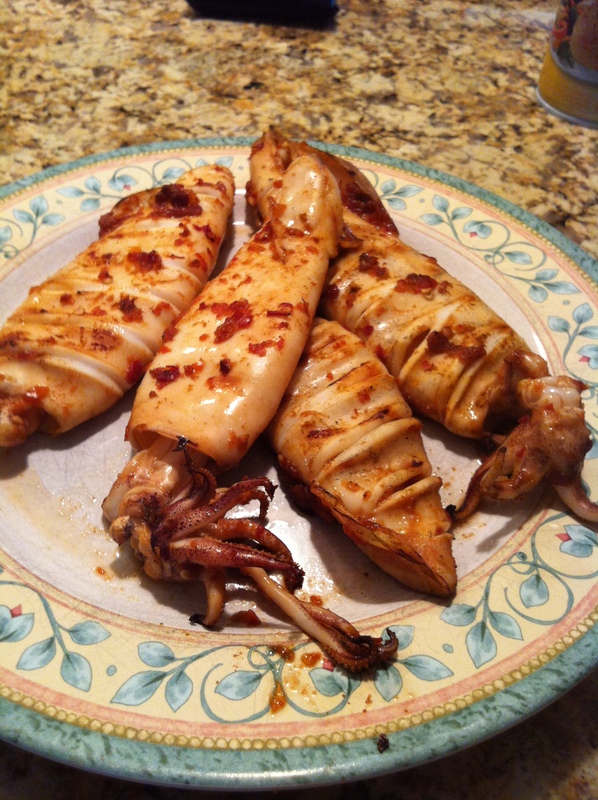 Place squid in zip lock bag and pour in marinade. Marinate for 3 hours. 3) Preheat grill then set to medium heat. Grill squid for 2 minutes each side or until charred and squid begins to curl around edges.